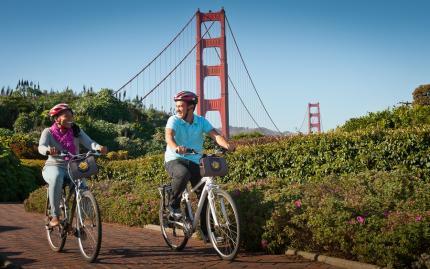 There's more to San Francisco than the Golden Gate Bridge! 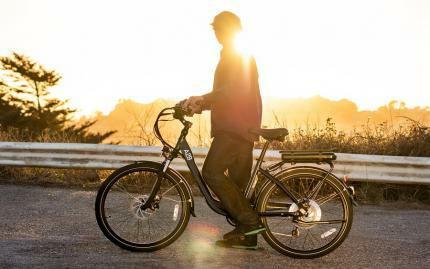 By leading you through various local neighborhoods, this urban bike tour will have you realizing just how dynamic this city is. You'll explore the back alleys of North Beach's "Little Italy," and get to take photos of the Transamerica Pyramid. Then you'll hit up Barbary Coast along with San Francisco's historical supper clubs. As you bike through this area, learn about how the neighborhoods transformed from scandalous to sparkling! Channel some black and orange when you ride around the Giant's AT&T Ballpark, then venture into the Mission, Castro, and Haight-Ashbury neighborhoods, each of which is a unique community with equally unique locals. Lastly, head to Nopa where you'll find the famous Painted Ladies houses of Alamo Square. 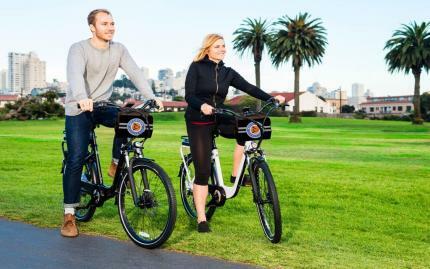 From there you'll visit the Civic Center, cycle into Polk Gulch, San Francisco's original gay neighborhood, and finish up in Aquatic Park! Note: Riders must be 13 years or older and know how to ride comfortably in an urban setting. Helmets are required. This ride is relatively flat, although it is comprised of all street bike lane and bike path riding. Riders must be comfortable riding a bike in an urban setting. The tour package also includes a front handlebar bag, bike bell, kryptonite lock, rear rack and bungee, map and map holder. Cancellations made within 72 hours are non-refundable.